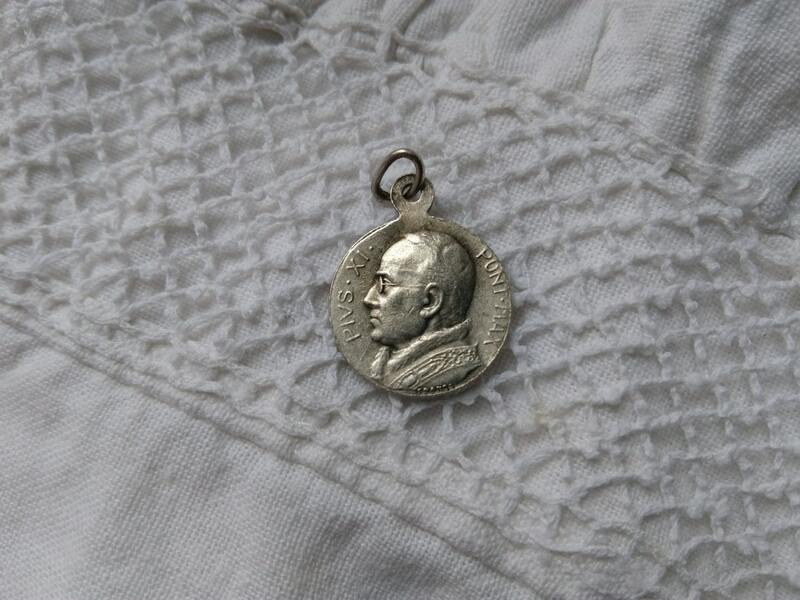 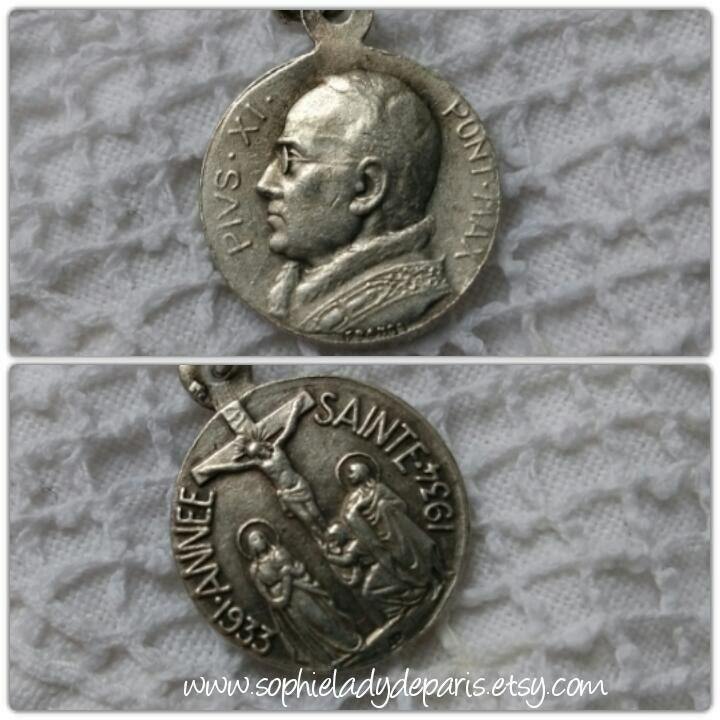 1933 Holy Year Pope celebration medal. 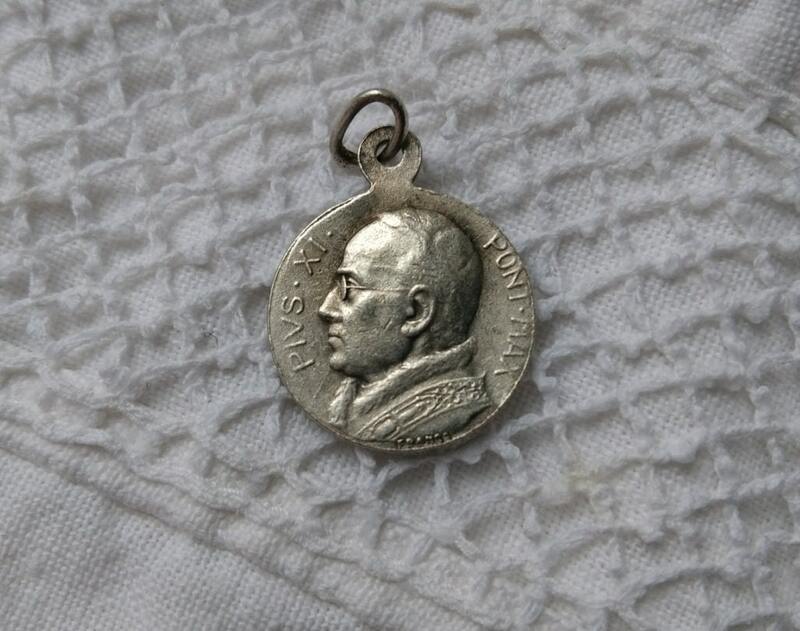 Pope Pius XI on front and crucifix on reverse. 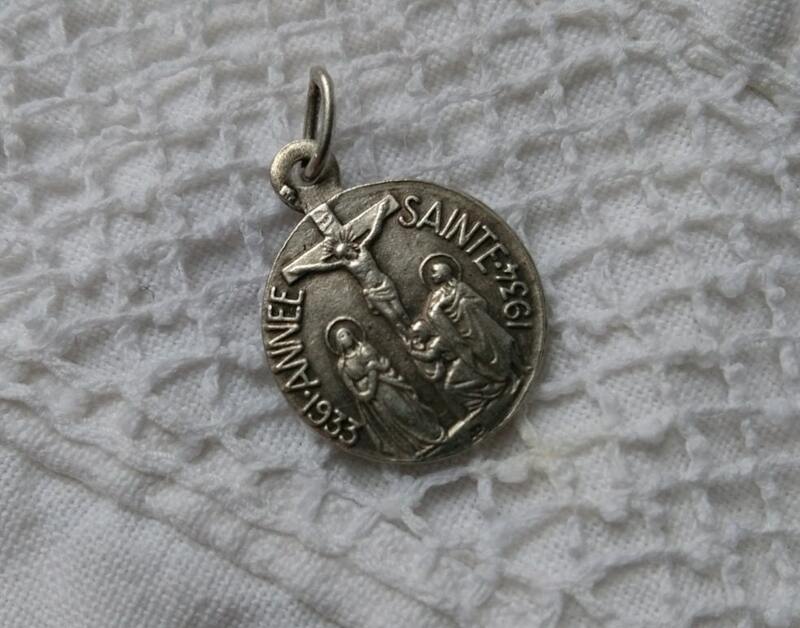 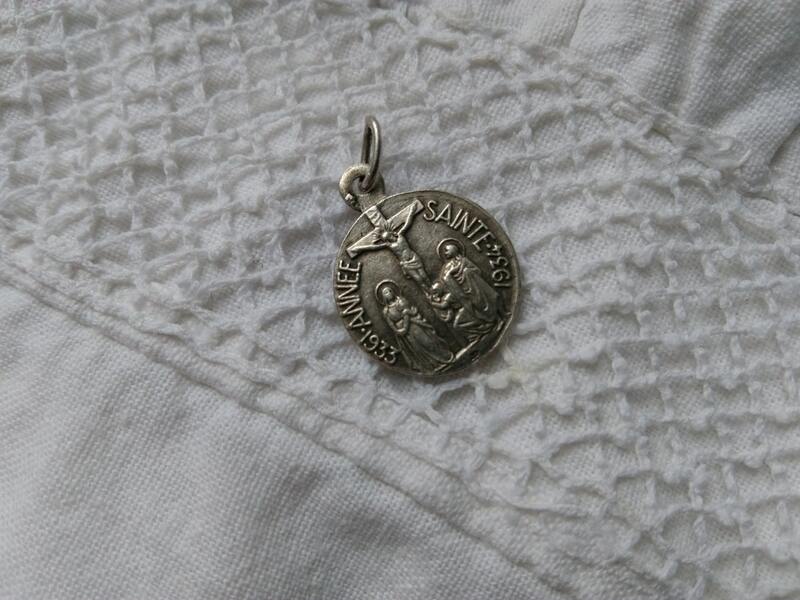 Antique Holy Souvenir Protecting medal.